Joe Schlosser has a passion to be creative. At Excellent Adventures!, Inc. it’s all about having fun and loving what we do. Let us create a custom designed t-shirt for you your friends or boss would be envious of. 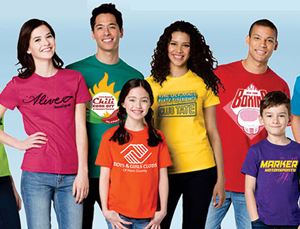 Perfect for film studios, movie set wrap parties, family getaways, reunions, school spirit wear projects, clubs, organizations, company outings, bowling leagues, etc. Excellent Adventures!, Inc. uses a group of local vendors that are experts in the field of screenprinting and embroidery. Quick turn around times are something we pride ourselves in. Excellent Adventures!, Inc. works closely with local schools and businesses in Dunwoody, providing goods for their Spirit Wear programs and clubs. He also has many national clients located all over the United States. As a certified Guerrilla Marketing Coach, Joe also has over 30 years of experience in the area of coaching, graphic design and promotional marketing, and has worked with numerous national corporations, businesses, and nonprofits. He is the former Director of Marketing and Communication for a national, faith-based nonprofit organization and is gifted in strategic thinking, analysis, and creativity. 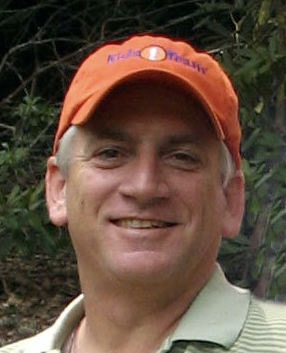 His coaching business is called CorEternal Coaching Group and is a subsidiary of Excellent Adventures!, Inc. based in Atlanta, Georgia. You are invited to join the CorEternal Business Group, a new kind of business, peer-to-peer networking for Christian Entrepreneurs. Joe, a Sigma Nu, graduated from Georgia Tech. “I have worked with Joe on multiple orders and have been extremely happy with the service and the products! One time we asked for an order of hoodies on a Monday night and had them in hand by Wednesday afternoon! It was amazing! “I just wanted to sincerely thank you for the excellent service you provided. You were extremely helpful with ideas regarding the first time visitors gift packet that I had to put together for my church. I contacted similar online companies, and decided to work with you because you were the most patient, and took the time to fully understand my needs. Ultimately, the packet arrived, and the church was quite pleased with your work. Thanks again to you and your company for the great work you did!!! I will not hesitate to recommend you to other associates, and I look forward to working with you again!!! Let Us Make You Look Awesome!